The government recognised the Māori (Tino Rangatiratanga) flag as the preferred national Māori flag. While it does not carry official status, flying it alongside the New Zealand flag on days of national significance is intended to symbolise and enhance the Crown–Māori relationship. 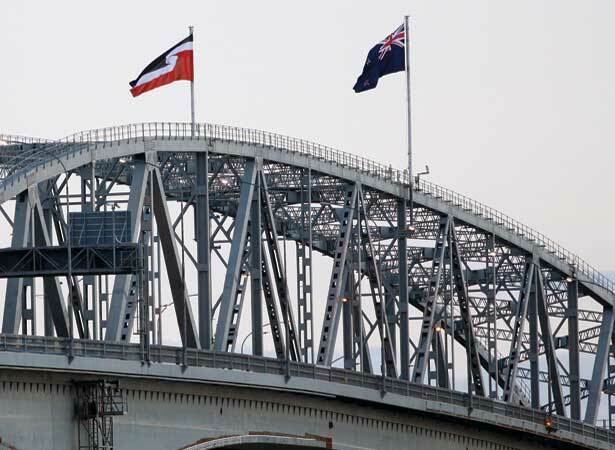 In January 2009, Minister of Māori Affairs Pita Sharples called for a Māori flag to be flown from the Auckland Harbour Bridge on Waitangi Day. Prime Minister John Key said he would support flying the two flags together if agreement could be reached on a preferred flag. In July–August 2009, 21 public hui were held, and written and online submissions were invited from Māori and other interested New Zealanders. Four flags were identified for consideration: the official New Zealand flag; the New Zealand Red Ensign; the United Tribes of New Zealand flag; and the Tino Rangatiratanga flag. Of the 1200 submissions received, 80 per cent opted for the Tino Rangatiratanga flag. The flag had originally been developed by members of the group Te Kawariki in 1989 and unveiled at Waitangi on 6 February 1990. We have 2 biographies, 5 articles, related to Cabinet endorses Tino Rangatiratanga flag .